Hardik Pandya’s superlative innings of 37 runs from 16 balls helped Mumbai Indians take down Royal Challengers Bangalore by five wickets in Mumbai on Monday. 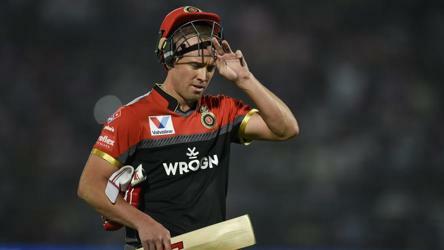 However, Mumbai could have been chasing a much higher total had Kieron Pollard not run AB de Villiers out in the last over of RCB’s innings. “It’s been tough for me in the last couple of weeks because I had to go back to Sri Lanka to play domestic cricket. But I realized whenever I play I got to give my 100 percent and today I did my best and we won the game. We have to prepare mentally for this kind of a tournament. Skill-wise you obviously know what to do. AB is a dangerous player, so we try to minimize the boundaries against him. When he got out, I used my variations to take wickets,” said Malinga after receiving the Player of the Match award.